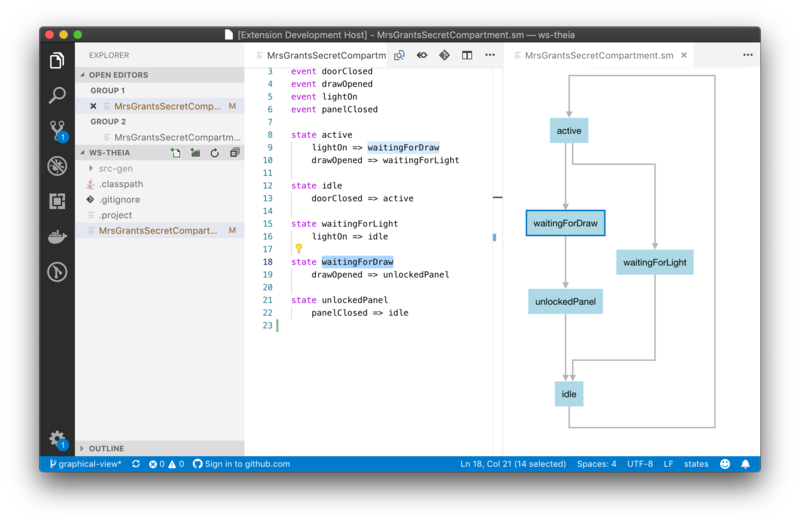 Visual Studio Code>Programming Languages>States ExampleNew to Visual Studio Code? Get it now. SVG export (ALT-E), animated center selection (ALT-C), animated fit selection to screen (ALT-F). An example DSL file can be found here.